The Omaha Running Club Board of Directors is comprised of volunteers who are enthusiastic about running and the Omaha community. If you are interested in volunteering for the organization and/or Board, please Contact Us. 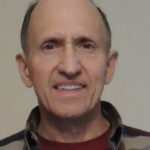 Running Life: I have been a runner for almost 40 years and have completed 28 marathons and other races all over the United States as well as Greece and Finland. Favorite Races: Presidio 10 in San Francisco and the Big Sur Marathon. I grew up in rural northeastern South Dakota and moved to Omaha four years ago for a career opportunity doing civil engineering work, and yes, the warmer weather and lack of snow is a lot nicer for outdoor training. I am employed by Thompson, Dreessen & Dorner, Inc. I have volunteered to be on the board to help increase the number of events that welcome the new and non-completive runner to participate. My favorite thing about running events is meeting new people. I participated in track and cross county in high school and have since completed a number of marathons over the past few years. This year, my goal is to break the three-hour mark. Running Life: As I grow older, my fondness for running on softer surfaces has led me to running on dirt more than on concrete, though I do love to run most anywhere. I love the connections you are able to make with like-minded people, and runners get to see some of the most beautiful sunrises and sunsets in some of the most beautiful places. Running Life: Not a runner, but I enjoy being outdoors. Interests: Church ministries, running, walking, swimming, biking, travel, family gatherings. Professional Life: Retired from the Union Pacific Railroad after 35 years service in the accounting field. Running Life: I've been running for almost 40 years, but, because of an injury I'm now walking. Ran numerous road races, including 8 marathons. Favorite Races: Bay to Breakers 12K and the Golden Gate Marathon. Both races are in San Francisco. I'm Vanessa Urbach, 27 years old and born and raised in Omaha. I found running in 2011 with a push from my sister; and because of it my life has changed for the better in so many ways. I'm excited to be on the ORC Board because I want to share my passion and show others what the wonderful tight-knit running Omaha running community is all about! I grew up in the Sioux Falls, South Dakota area and came to Nebraska to attend Midland University in 2000. While at Midland I ran cross country and track competing in distance events (5k thru Marathon). In 2004 I moved to Omaha to pursue a career as a CPA and am currently employed at HSMC Orizon. I became involved in the Omaha Running Club to meet great people and to give back to the running community by volunteering at area races. I currently serve as the race director of the Lake Wehrspann Run, held the first Sunday of August. This event includes a 10K picturesque route on the paved trail around the lake, a 2 Mile moderately hilly out-and-back course across the dam and a 1K relatively flat route along the trail for kids 12 and under. Running Life: I've been running for 24 years. Was a four-time state medalist in track and cross country, two-time All-American at Dana College, school record holder for the half marathon (1:09:25). Was lucky enough to win the Omaha Marathon (2013), placed second at the Lincoln Marathon (2004), and finished 77th out of 25,000 at the Boston Marathon in 2009. Attempted to run across Nebraska (ran 100 miles in two days and had to quit!). Have run 81 miles in 24 hours, as well as a marathon on Westside's track (105 laps). Running Life: I really like to jog-walk for general fitness. I have been actively involved with the Omaha Running Club since 1985, and board member for over 10 years, serving as Chair of Membership and also managed club Clothing, and Past President. I was assistant Director of the Omaha Marathon for 2 years and Director for 8 years. I currently am Director of the Omaha Corporate Cup Run and YMCA Masters Classic as well as serving on the committee of the Heartland Marathon. I am the acting Liaison for Omaha Running Club equipment rentals, and help events with planning and organization of events by proving advice and resource materials necessary for event planning. I also measure and certify events using the protocol of The USATF, and have measured/certified courses since “85”. My wife Judy as well as my children Lindsay and Greg are supportive of my activities, and Greg can occasionally be found timing events when I am unavailable or timing another event at the same time. Running Life: Started at the end of 1979, but got serious about it in 1982. After four full marathons and two half marathons, knee surgery turned me into a speed walker. Jeremy is from central Nebraska but her career brought her to Omaha in 2005. Although she has been active all her life she ran her first half marathon with a friend in 2001 and was hooked. 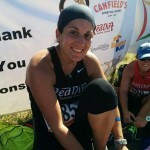 She has continued to challenge herself running several 5k's, 10k's, half marathons & the M2M relay. She has served as co-director for the Step into running program and Go Girl Run the past 3 years and is excited to serve as Director of these events in 2018. 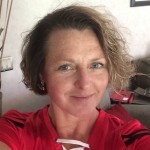 The ORC is a group of amazing people who enjoy running and she looks forward to helping implement changes to the club that increase membership and continue to make it a success. Alan ran middle distance and XC in High School and College. He started running again in 1993 after his father lost his leg to diabetes. He has run over 22,000 miles since, including 10,489 miles in a string of 1,234 straight days! 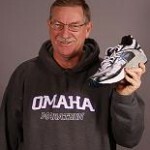 His running tapered when he switched careers and moved to Omaha in mid 2002. He has run less than 1000 miles since injuring his back and neck in an automobile accident in 2004. Alan spent 9 years on the Omaha Running Club board of Directors as an at-large member, Director-elect and Director and Marketing Director. He has served as the Membership Coordinator for the ORC since 2004 and assists Stan Shirk with the scoring of Omaha Running Club events. 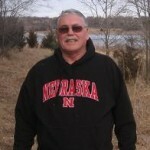 He was a Lincoln Track Club Board Member for 5 years and served as the Computer/Results Coordinator for the Lincoln Track Club Board from 1998 to 2004. He still assists in the scoring of Lincoln Track Club events. He also times events for ChampionChip Minnesota (https://www.mtectiming.com/index.html). 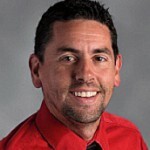 He is a member of the Planning Committee for the Lincoln Marathon and served as the volunteer Cross Country Coach for College View Academy High School in Lincoln from 1998 through 2003. He also coached Lincoln Youth Track and Cross Country from 1994 through 1997. He has met many lifelong friends through running. Running Life: I have been running since my freshman year in high school on the cross country team, and have ran 10 marathons and many other races.